1.This organization inspires me to do my best work every day. 2. Overall, this organization's benefit plan meets my (and my family’s) needs well. My coworkers respect my thoughts and feelings. 3. This organization strongly supports the learning and development of its employees. This organization has an excellent reputation among its customers. 4. I feel this organization values diversity (e.g., age, gender, ethnicity, language, education qualifications, ideas, and perspectives). If I have an issue with being treated fairly in the workplace, I am confident that the organization will take appropriate action. 5. I have enough time for professional development. My manager understands my job well enough to evaluate my performance. 6. My manager provides important guidance on career opportunities. 7. I understand how pay changes are determined. Employees are kept informed on matters that directly affect them. 8. I feel I make a significant contribution to organization success. Overall, as an employee of this organization, I am satisfied. 9. I can envision myself working at this organization: Three years from now. I have personally planned for my job/career development. 10. My manager gives me information that affects my work. When faced with a crisis or tight deadline, my colleagues work well together to resolve the situation. 11. My coworkers follow our work processes. My manager supports a working environment that respects individual differences. 12.My manager understands the challenges I face in doing my job. Doing my job I continuously gain useful experience and knowledge. 13. I have good relationships with my external customer. I understand the needs of our customers. 14. I enjoy working with my coworkers. My coworkers typically demonstrate a positive attitude about XYZ. Now we offer you the opportunity to become an Effective Negotiator. It’s a subject we’re passionate about. Indeed, it’s an obsession. Our Negotiation workshop is our flagship product. It provides the ultimate in negotiation skills development. Because of the sheer quality of our research, tutors, materials and support and because we specialize – wholly and exclusively – in negotiation skills development, we have become the preferred partner to industry-leading companies. pressures of work with the needs of home life. Your employer recognises that you may need help to deal with the challenges that you face in life, both practical and emotional. Your Employee Helpline is there to provide you with this kind of professional and Personal Support. One amazing example of a bridge's contribution to connecting people to other populations and places for both social and commerce reasons is the Sky Gate Bridge connecting people to Japan's Kansai International Airport, located in Osaka Bay. It all started when the nearby Osaka and Tokyo airports were unable to meet demand, nor be expanded. To solve the problem, the people of Japan took on one of the most challenging engineering projects the world has ever seen. Since they had no land for a new airport, they decided to create the Kansai International Airport by constructing an entire island! On this new, artificial island, they built the airport terminal and runways. Then, they needed a bridge to access it. Spanning 3.7 km from the mainland in Osaka to the airport in an ocean bay, the Sky Gate Bridge is one of the longest truss bridges in the world and has an upper deck for auto transport and a lower, internal deck for rail lines. 1)	To do so, open the OSD by pressing the MENU button on the front of your monitor. Use the (+) button to go to Color temperature and press MENU again. Then move the down button to go to sRGB and press MENU again. Brightness hotkey. When the "+" button is pressed, the adjustment controls for BRIGHTNESS will show up or increase adjustment. EXIT	When the button is pressed, Exit the OSD menu. Verify the Contrast and Brightness setting of the monitor. First press (-) then press (+) to increase Contrast and then press and hold the (+) button to increase Brightness. These buttons are located on the front of your monitor. The ON SCREEN DISPLAY shows its settings in one of eight or nine languages. The default is English, but you can select French, Spanish, German, Italian, Simplified-Chinese, Korea, or Portuguese, Russian, Turkic. 4) Press MENU and then Press the (-) or (+) button to adjust ZOOM. 3) Press the MENU button to open the ADJUST HORIZONTAL window. Highlight the POSITION and press MENU. 2)	Press the MENU button to open the ADJUST VERTICAL window. Highlight the POSITION and press MENU. 8) To adjust the parallelogram, Press the (-) or (+) button to adjust. 5) Press the MENU button to open the ROTATE IMAGE window. Highlight the ROTATE option and press MENU. Your monitor has three preset options you can choose from. The first option is for GENERAL USE, which is fine for most applications. The second option is for IMAGE MANAGEMENT, which includes projects such as desktop publishing, viewing a DVD from your DVD player or pictures on the World Wide Web, and playing video games. The third option is for PHOTO RETOUCH (only for 107B* model ), which is for working with pictures you have imported into your computer and want to alter. When you select one of these options, the monitor automatically adjusts itself to that option. There is also a fourth option, USER PRESET, which allows you to adjust the colors on your screen to a setting you desire. 3)	Press the (-) or (+) button to highlight 9300K for GENERAL USE, 6500K for IMAGE MANAGEMENT, 5500K for PHOTO RETOUCH(5500K only for 107B* model ), or USER PRESET. 6d) When all adjustments are complete, press the MENU button to confirm your adjustments and press MENU to return to the MAIN CONTROLS window. CLOSE MAIN CONTROLS will be highlighted. 4)	To degauss your screen, press the MENU button. Your screen will be degaussed, press MENU then the MAIN CONTROLS window will reappear. CLOSE MAIN CONTROLS will be highlighted. Experience Years of translation experience: 12. Registered at ProZ.com: Jun 2014. 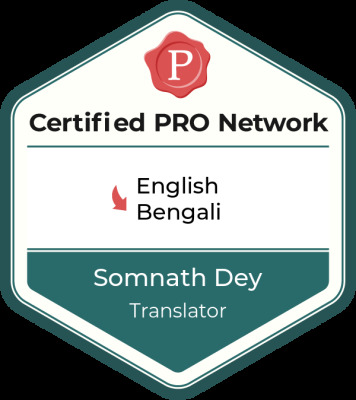 Professional practices Amit Kumar Roy endorses ProZ.com's Professional Guidelines (v1.1). 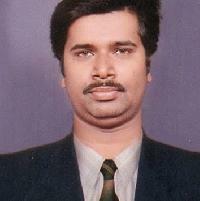 I am a full time translator in the language pair "English<>Bengali". Bachelor of Education, Netaji Subhash Open University. I am a full time professional translator with 9 years experience and I have been working with a few world class international agencies since 2007. I have translated about 6,00,000+ words in my career in different fields as a translator. I am almost always available on email, skype, gtalk, WhatsApp. I check my email every 30 minutes in an average. I always submit the project before the deadline. And I never take any projects beyond my capacity. If you want to test my skill in any of the mentioned skills on my profile, you are most welcome. I am always available for a short translation/proofreading test. • Timely delivery and quick reply and update to the client. •	Have excellent writing, communication, and computer skills. •	Well aware the cultural diversity and its impact over the language, context and target audience. •	Ability to work with a tight deadline. •	Ability to provide high quality and consistent language services. •	Have good SEO and keyword research knowledge. (Please feel free to contact me if your requirements are not listed above).